Kiwamete yoi fukei [Extremely Good Landscapes], 2004. Following the screening, the conversation between Homma and Takazawa will be held. 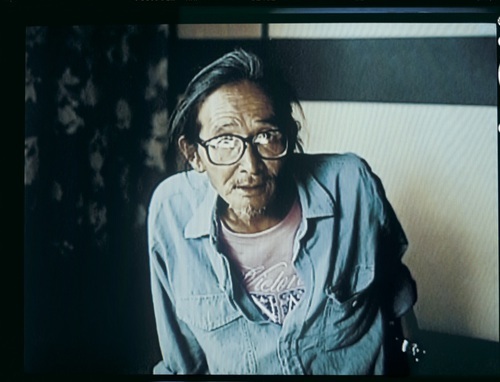 In the late 1960s, photographer Takuma Nakahira published the legendary photography magazine Provoke with Daido Moriyama. With this edgy writings and photographs, Nakahira rejected preexisting photographic expression. In 1977, an alcohol-induced coma resulted in a permanent partial memory loss. In the following years, with gradual recovery, Nakahira started photographing stray cats, homeless, and thatched roofs in the neighborhood near his home in a monomaniac manner. This is documentary is a portrait of the Nakahira's daily life. Directed by photographer Takashi Homma. ＊Please note that you will be asked to present your digital ticket upon entering the event. You can do so either via the screen of your smartphone or a print-out of the ticket page.